Hello everyone! 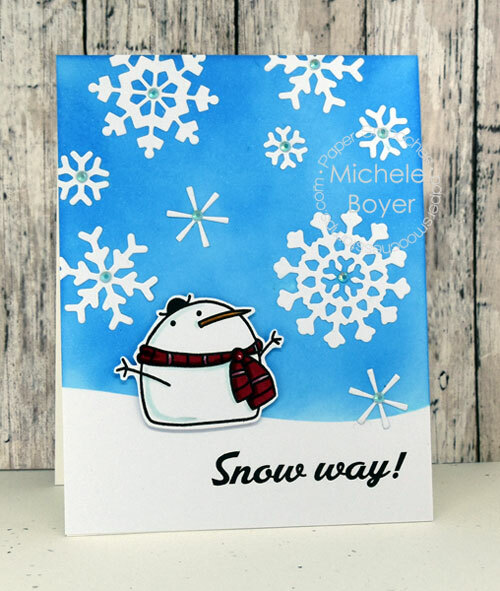 I’m popping in today with a card using Swanky Snowdudes and pretty Snowflakes dies from Paper Smooches. I first die-cut a strip of Post It tape using a Snow Drifts die. Once that was adhered across the bottom of my card front, I sponged a quick sky with Salty Ocean Distress Oxide ink then adhered the die-cut snowflakes. In the center of each, I placed a Queen & Company Gem topping. 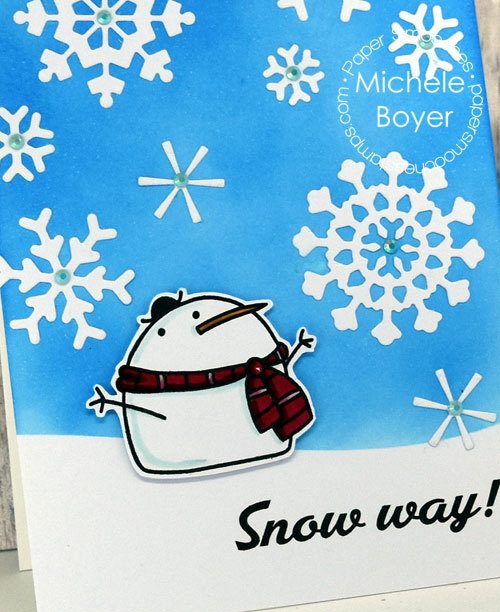 The snowman was stamping onto X-Press It Blending Card, colored with Copic markers (listed above) then cut out and adhered with foam tape.